The chiropractors and medical staff of All American Healthcare Covington have been serving the Covington, LA community for over ten years. The chiropractors, physicians, and nurses work diligently to help their patients live pain-free and achieve overall wellness. Chiropractic care, holistic medicine, medical pain adjustment and management, physical medicine, and physical rehabilitation are all used to achieve this goal. At All American Healthcare Covington, chiropractor consultations are FREE ($149 value), and insurance often covers the cost of your medical care! Interested in learning more? Contact us for more information, to make an appointment or to inquire about insurance. Dr. Chip Curtis and the chiropractors at All American Healthcare Covington are simply the best. For years, I suffered from low back pain and sciatica and wasn't sure I would ever live pain free. Dr. Curtis took the time to completely diagnose my back pain issues and outline a program of chiropractic care, stretching, and exercise to alleviate the constant pain. Three months later I am pain free and couldn't be happier. All American Healthcare has been one of the best decisions I've made as far as wellness treatment. When you communicate with the staff and let them know what is going on, they will focus and get to the root of the problem. Every person is genuine and wants to make every person better. I have been convinced for two years that I am going to have to suffer and live with it. The results I am getting at AAHC is truly life changing. It's a work in progress, but Rome wasn't built in a day.If you are having issues go talk to them, it's worth the visit. So grateful this team was placed in my path. They care individually about each patient and it shows. I have been singing their praises to anyone who will listen because I want others to feel the same relief I have found. I appreciate the holistic approach they take and the education I receive while there for treatment. Keep up the great work! I've been to a chiropractor before. It was a dark, quiet place. All American Healthcare is the complete opposite. I'm always greeted when I walk in and helped every step of the way. It's a fun and upbeat atmosphere and you can tell that the staff and doctors genuinely care for you. They are very personable and work hard with a smile! Awesome place. The staff is amazing. The doctors are great. I had knee issues and could barely walk- two months later I’m running and doing squats. I strongly encourage anyone with any pain or injury go see them- if they can’t fix they will refer you to someone else. Great staff! They really care! Still getting better. TMJ down from a daily pain scale of 9 to a permanent reduction to about 4! Headaches are reduced. I know the PT is helping, and I know strengthening takes time. Pushing on! Awesome experience and first-class service! The doctors and staff at All American Healthcare are so friendly and genuinely care about the health and well-being of their patients. I wasn't sure what to expect when I went in for my first visit, but everyone made me feel right at home from the minute I walked in. Thank you! The doctors and staff at All American Healthcare are so friendly and genuinely care about the health and well-being of their patients. I wasn't sure what to expect when I went in for my first visit, but everyone made me feel right at home from the minute I walked in. I will recommend them to anyone they are amazing and make you feel like family. Thank you! The team here is great! They are dedicated to helping you get healthier. Would definitely recommend to anyone interested in chiropractic medicine. When I started at All American following knee surgery I could barely walk and had severe pain in the hips and lower back, mostly related to the limping walk I'd developed due to the knee pain. There very tender and caring staff worked to improve my quality of life and have me walking almost pain free now. Honestly, I've taken a while to write this review because it took me a while to warm up to them. They're definitely a business and very much try to get you to come in multiple times, and as a scientist I wasn't always very sold on the diagnoses and techniques. So, as a scientist, I did what I would usually do and I tried it multiple times to form my conclusion.... And my conclusion is I love it. It's the one place I know in the greater New Orleans area, that when they ask you how you're doing when they pass you in the hallway, they MEAN it. Which did lead to some hilariously awkward conversations in the beginning when I wasn't used to it and would respond, "good," instinctively. They actually care about you as a person (and as a patient), and it really shows in how they work and operate. They take a holistic approach to your health, and do a DETAILED questionnaire and assessment with Dr. Curtis, and Danielle the PA to really learn about you overall. Their staff always remembers your name and things you like and they love to goof around and have a good time with you, so it makes the awkwardness of working out and stretching in SUPER weird postures go a lot more smoothly. Lol they're excellent stretches, trust me, but I look like a giraffe or a flailing pigeon sometimes). Seriously, their staff are GOOD PEOPLE. I love them to no end. A typical visit once you get into the swing of things involves lots of stretches and warm ups depending on your problem area, followed by this magical bed with a roller in it to massage and stretch your spine out, followed by deep tissue muscle massages from the techs, and then a chiropractic adjustment if you need/want it. Then they finish you off with some ice and the TEMS machine (electro-phys to stimulate your muscles). Also, they're always open and willing to help you with any problems, concerns, or issues, so don't be afraid to let them know if something hurts, bothers you, or makes you uncomfortable. They will do everything in their power to fix it for you! I've been pleased with the treatment that I have received from AAHC even though it's only been a few weeks. They're more than a chiropractor clinic; their main focus is on proper physical therapy (PT) that is customized to your specific ailments. I realized the benefits to PT after my back surgery 2 years ago, and now I'm seeing at AAHC how a combination of traditional chiropractor techniques along with PT can help me get through my chronic neck and shoulder pains. They certainly have my recommendation. Talk about awesome! The entire staff is super sweet and very helpful. They truly give 100% of their time and expertise every single time I’m there. And they surely are very entertaining and funny. And they play awesome music too. It’s a win win for me!!! Come give them a try. I promise you will be back! Absolutely wonderfuland knowledgeable staff here! First coming here, I was hesitant and unsure if it was the right thing to do but here I am, feeling much better from where I started. They have services such as physical rehabilitation, anti-inflammatory injections, and so much more to help with many problems and conditions. Ideal Protein is also offered here. I myself have lost almost 40 pounds from this! I highly recommend them! I had truly been helped here. Dr. Doty is expert, Mac does wonders on my neck, and Jathan and K are helping me work loose muscles unused since birth. Dr. Curtis has a great staff! I love this place. They work really well with you in order to get you back to normal and feeling better. Everyone there are very patient, as well as take their time to make sure you feel comfortable. Have been going here for about two months and they give you such detailed attention and treat you like family very friendly and take care of you. They are very detailed in your initial evaluation and the plan of action to help you get better. Entire staff is friendly, knowledgeable and personable. I highly recommend them for your care. It's not all about Chiropractic care, it's about your total care. Dr. Chip Curtis is an honor graduate of Life University, in Atlanta, Georgia as a Doctor of Chiropractic, and a graduate of Louisiana State University with a B.S. in Kinesiology. He was a Captain in the Army National Guard, as a Black Hawk helicopter pilot for 20 years. He served a tour in Iraq, earning medals for valor and meritorious service. 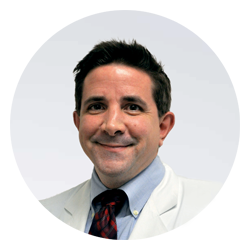 Dr. Curtis grew up in St. Tammany Parish and returned here to practice close to his family. He and his wife Tanya have three beautiful children. All American Healthcare was recently picked as one of the LSU 100, an award honoring the fastest growing LSU graduate companies. 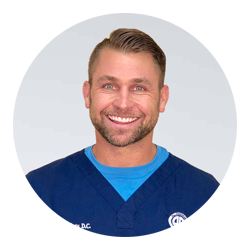 Dr. Curtis has been voted the “Best Chiropractor Covington LA” on numerous occasions. Dr. Jonathan P Doty, D.C. graduated from Arizona State University with a B.S. in Kinesiology, and then from Cleveland University as a Doctor of Chiropractic. 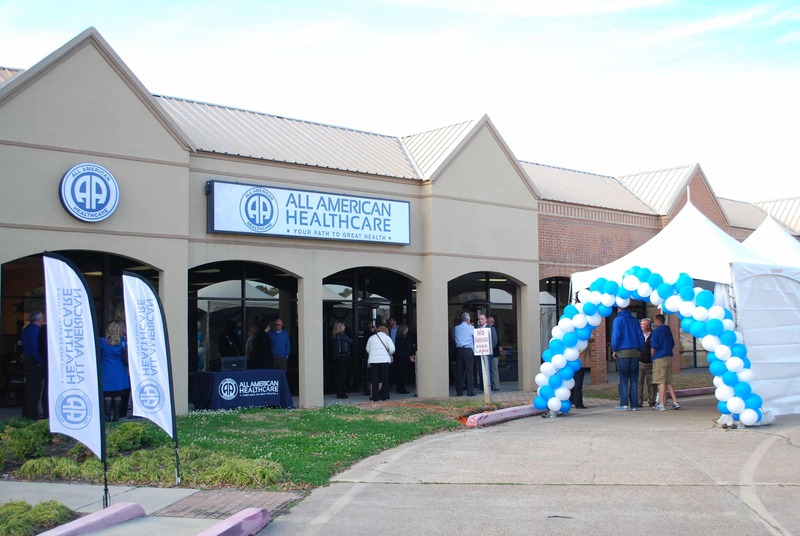 Dr. Doty is currently in practice at All American Healthcare in Covington, Louisiana, specializing in a holistic approach to chiropractic care. Dr. Doty has become an outspoken advocate for chiropractic work for expectant mothers and children of all ages to better care for their present as well as prepare for their futures. 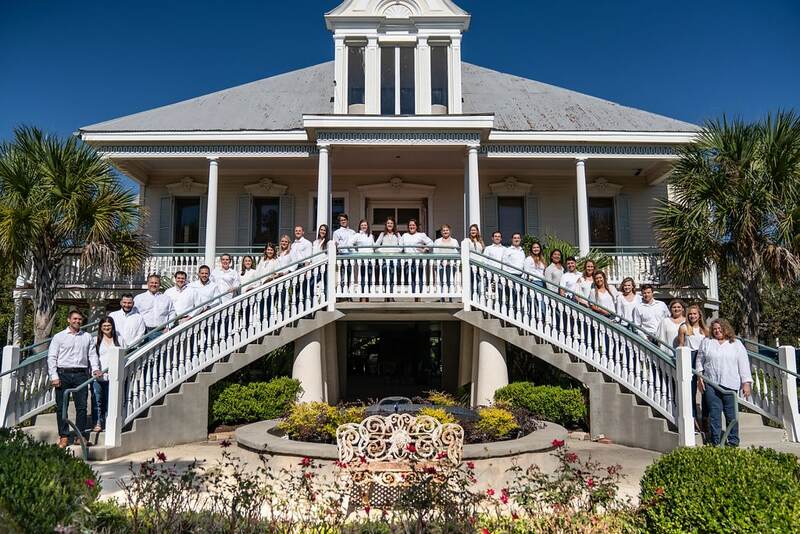 Dr. Doty is passionate about local culture, spending his free time enjoying Louisiana’s cuisine and wildlife with gusto- he can often be found out exploring in his kayak or sampling any one of the North Shore’s many incredible restaurants. 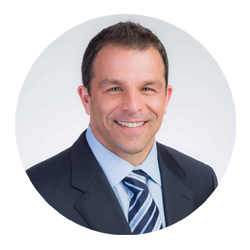 Dr. Craig Seichsnaydre, M.D., is board certified by the American Board of Internal Medicine and has been providing care to the residents of St. Tammany Parish since 1999. He is a founding member of the St. Tammany Parish Hospital of Medicine and has been a full-time hospitalist since 2005. Dr. Seichsnaydre specializes in the diagnosis and treatment of complex patients who require hospital care. He also collaborates with All American Healthcare physicians to coordinate care. He is the current Chairman of the hospital’s Medical Care Services Committee. Dr. Seichsnaydre received his undergraduate and medical degrees from Louisiana State University and completed his internship and residency at the Ochsner Medical Institution. 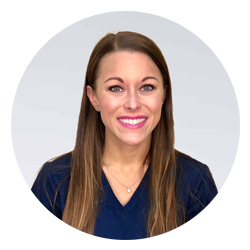 Danielle is a Physician Assistant for All American Healthcare with five years of experience in the orthopedic and physical medicine specialties. She graduated with honors from LSU with a degree in Biological Sciences and obtained her masters of medical science in Physician Assistant studies from Our Lady of the Lake College. Danielle is a native of Covington and recently moved back after living in Tennessee. She and her husband, Chris, have been enjoying life back in Louisiana and keep busy chasing around their one-year-old son, Murphy! They also have three furbabies: Lily, Sadie and Myrtle. Samantha Hill graduated with honors from the University of Louisiana at Monroe with a B.S. in Kinesiology. She is also a licensed massage therapist and personal trainer. 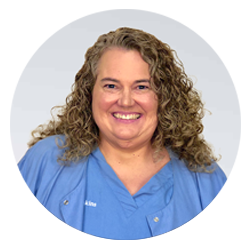 Samantha is currently the Case Manager at All American Healthcare in Covington. 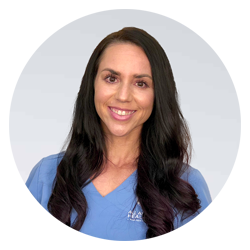 She ensures each new patient is well educated on the need and purpose for treatment and ensures each patient receives the services that will help them get better as quickly as possible. Samantha is a two-time International Federation of Bodybuilding Professional Women’s Physique champion and an Olympian. 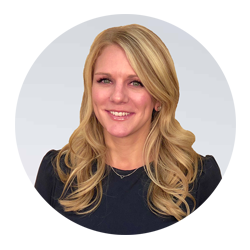 She has over 10 years of experience that extends to a wide variety of healthcare environments including Physical Rehabilitation, fitness, weight loss, sport specific training, and special needs populations. Lana Cagle received her bachelor of science in hotel/restaurant management from Penn State University. After spending several years in Pennsylvania, she relocated to Louisiana to thaw out and enjoy the warmer weather. Lana joined All American Healthcare in October of 2013 as a wellness coach for Ideal Protein. As a wellness and weight loss coach, she helps clients set, keep and attain their health goals. Before being hired, she was a client herself. Our program made a big impact on her and helped her to change the way she looked at overall health. One of her passions in life is to help people and with All American Healthcare and Ideal Protein she can do just that. Donna Jenkins holds the position of Office Manager at All American Healthcare in Covington. She studied Education at Southeastern Louisiana University and acquired a vast knowledge of Business Management throughout her career. Donna also spent many years as an educator in St. Tammany Parish. Donna’s love for philanthropy led her to serve as a board member for the non-profit organization Grant’s Gift Foundation. She also serves as the Treasurer for the Covington Lions Club and volunteers her time supporting Archbishop Hannon High School. Donna’s proudest accomplishment is her beautiful 25 year old daughter Bayle’, who is pursuing her law degree, and is engaged to be married in 2019. Trish Trahan graduated from Fordham University with a B.S. in Fashion Merchandising. She has been the Marketing Director at All American Healthcare in Covington, Louisiana since the fall of 2014. She is an active member of the BNI Referral Express chapter and the St. Tammany West Chamber of Commerce. 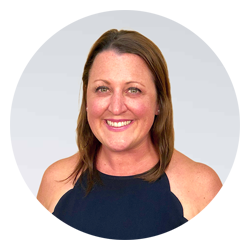 Trish coordinates all of our internal and external marketing opportunities and acts as a community liaison in promoting holistic healthcare and corporate wellness. Trish lives in Mandeville, Louisiana with her beautiful daughter, Stella. In her free time, she enjoys cooking, reading and spending time outdoors. Great group of professionals at All American! The employees are happy. They are engaging and social. I have been treated like family. In addition to making a lot of new friends, my neck issues are much improved! I highly recommend Dr Curtis, Dr Doty, and the entire staff at All American Healthcare. After an anniversary trip to San Francisco where I woke up one morning and found I couldn’t move my fingers to drink a bottle of water or enjoy a glass of wine, I knew something was very wrong with my elbow, wrist and fingers. Upon my return I knew I needed to see a chiropractor. A friend recommended All American Healthcare. It’s a very comprehensive program in which I do physical therapy combined with chiropractic care. The pain reduction has been substancial. I now feel like I have a wholesome healthy path to overall better health going forward. Dr. Curtis and Team is great since going to see them pain has improved greatly. I have been to multiple chiropractors and physical therapists. However, I’ve received the best overall healthcare and restoration at All American Healthcare. They have an awesome set of team members who are caring, friendly, and knowledgeable. I highly recommend them! This has been a great experience. The professional staff is caring, knowledgeable and pleasant. I get adjusted, messaged and exercise therapy in one visit. Thank you All American Healthcare! I love everyone there! I was in so much pain before my first visit and just 48 hours later and I felt so much better! Everyone is so nice and always smiling. I would recommend them to anyone who needs a good chiropractor. I love that everything is natural there. They don’t want to just write you a script for pain meds and scoot you out the door. They want to solve the problem of the pain. That’s the best. Love them! They have a great positive attitude and truly want to help you get better. The crew encourages you to do better. Can’t beat the staff and medical care at All American Healthcare! Great place! They treat their patients like family. Always a good experience when i go in. Absolutely wonderfuland knowledgeable staff here! First coming here, I was hesitant and unsure if it was the right thing to do but here I am, feeling much better from where I started. They have services to help with many conditions. Stem cell, platelet therapy, natural anti-inflammatory infections. Ideal Protein is also offered here. I myself have lost about 30 pounds from this! I highly recommend them! Awesome peeps that makes your visit a comfort and a workout that makes me sweat...🤩 in a good way! I began going to All American HealthCare inAugust 2018 because my weight was totally out of control. Meeting with Lana and following the Ideal Protein Protocol is the best thing that has happened! Since August I have lost 45 pounds and working on getting rid of of 15-20 more!Lana gives me so much positivity and support. If you wAnt a life change in your diet, you definitely need to see Lana!!! I have been a client at All American Healthcare for many years. The staff is nothing short of spectacular! They are truly committed to not only relieving my pain but getting me to a place of optimum health. I’m on a maintenance plan now and feel better than ever. I am not only pain free but am also stronger and more flexible with a greater range of motion than when I first started treatment. The atmosphere is always professional but also friendly and fun. I never dread going and always feel so much better when I leave. I highly recommend All American Healthcare for all of your chiropractic needs. Excellent, kind service and never the feeling of being rushed out. Lana is a great coach and helped me with my weight loss goal when I was hopeless and out of options. She helped me through the cravings and I came out with an almost 40lb weight loss in just a few months!! I would recommend this program to anyone seeking to lose weight and live a healthier lifestyle!! This place is amazing the staff and the Drs, Thanks to them and they work they are doing I continue to go and I will recommend them to anyone they are truly amazing love everyone there. For over 5 years I have lived with neck, shoulder and lower back pain. Any small task such as light house work would have me down for days. After a few months with American healthcare, now I can do full days of home improvement projects with little to no pain! My only complaint is it took so long to find them! Wonderful staff and Doctors. Do the regimen they give you and you will see true lasting results. AAH has a very knowledgeable staff who listens to their clients. All aspects of this place is top notch...the doctors, the physical therapists, and the front staff. I would definitely recommend this place to anyone looking for chiropractic work! Love you guys!!! Finally pain free! Highly recommend. They treat you like family and help with all the aches and pains. I was skeptical if this would work and I’m happy to say I’m much better now. The classes are awesome too.Staff is friendly, knowledgeable, and fun to work with. Makenzi's magic hands have helped my sore back a neck by leap and bounds. She's quite an asset to the company. Highly recommend to everyone with back, leg, migraine issues. They can fix you up. Very professional. It is all encompassing care. Actual focus is on better health. Very informative in how to maintain progress when you reach your goal. Highly recommend!! I’ve been to a chiropractor before. It was a dark, quiet place. All American Healthcare is the complete opposite. I’m always greeted when I walk in and helped every step of the way. It’s a fun and upbeat atmosphere and you can tell that the staff and doctors genuinely care for you. They are very personable and work hard with a smile! Awesome place. Great doctors even better staff😂. I had knee issues and could barely walk now I’m running after two months. Please if you have any back or neck or any issue come see them!! When I started therapy 7 weeks ago my back, neck and knees hurt almost continuously. Now I’m moving much more freely with less pain. Haven’t had to take anything for the pain either. �. Can’t wait to see how much further I can progress in the next month or two. The staff here is so friendly and very helpful. The atmosphere is always so upbeat and welcoming. I have suffered with lower back pain for many years and they have helped me tremendously! I feel better than I have in a long time. My five year old comes with me most days and he loves it there. The staff engages with him and encourages him. I would absolutely recommend this place! The staff of very kind and friendly. Dr. Hayden, Dr. Doty, and Dr. Curtis all care so much! The staff is attentive and knowledgeable. Their procedures are well organized and make sense to get each patient to her or his best outcome. I wish I had found them when I first moved here three years ago! See Dr. Haydel for your pain. I’m very picky about who I let touch my neck after my surgery. He works miracles. I went to a seminar for the Stem Cells when I had so much knee pain, I could hardly walk. My quality of life was at zero. I learned a lot from Dr. Chip Curtis and decided to have the stem cells injection. Since then after having physical therapy go hand in hand with the injection, I am so much better. My life has improved tremendously and I can go out into the world again! Everyone at All American Healthcare is so very helpful and nice. I highly recommend them for all of their services. Your lifestyle can be changed for the better! Three visits in and starting to feel great. The staff makes it all about you; tending to your every need and always ensuring you are comfortable. Looking forward to my next visit....how many people can say that about going to the doctor!! I saw an ad on FB for a free evaluation I'll admit I was skeptical. It's been going on 2 months and I have to say I feel a whole lot better. These folks are really knowledgeable and take excellent care of thier patients of which there are many which speaks to the popularity of these folks. There is a lot of smiling and laughter going on staff and patients alike. It's a fun upbeat place with a great sense of humor. I love the atmosphere. It makes enduring a really challenging physical therapy regimen actually enjoyable. But atmosphere aside, my regular doctor said I needed surgery. The Drs here said I needed therapy and healing. They were right and I can feel the difference. I am so glad I came here. Dr. Doty is so friendly with his patients. All the staff make everyone feel welcome. they keep me pain free. i come here twice a week. The employees here are the best! They genuinely care about my progress and offer additional ways to supplement my stretches at home. Their entire goal is getting me better and pain free. I really appreciate all of them!! So my cousin refers me to these doctors and she can’t say enough of how good they are and how I NEED to go see them. Boy was she ever right!! These docs and their staff are awesome. They are friendly, diligent about checking on you and their practice is absolutely perfect! I can’t wait to go to my next appointment!!! The staff is so friendly and helpful. For the first time in years, I’m not in constant pain! They knew what was wrong and how to fix it when several other doctors didn’t! Everyone at All America is so friendly and helpful! The doctors are all great, and the therapists are very knowledgeable and really push you to get better. I've been having back pain intermittently for a few years, but I finally got to the point that I needed to have something done. I've seen other ortho doctors, and they would just say they can't find anything, On my first day at All American Healthcare, they were able to do several range of motion tests, and see where the issues were coming from. I've been seeing the doctors there for a month now, and my back has improved significantly. I also had sprained my ankle last summer, but tried to just get by. They identified the spain, and have been working that out, so I have been able to start participating in sports and Karate again. All American is completely different than any idea I had about Chiropractic coming in. If you are having any issues or aches and pains, do yourself a favor and go see them. They helped me and they will help you! Good Morning! This is Trish and I just had to share something with all of YOU! This morning for the first time, since March 25, 2015, I woke up pain FREE! Normally on a bad weather day I would be in horrible pain. Yesterday at my treatment I received my four injections, had stem with heat, Dr. Doty worked on me and then adjusted my ankles (which was a first), cold laser on my neck (which has killed me constantly for two years and NO headache), and Dr. Haydel taped my neck and lower back! I came home, iced down, and just relaxed all evening. I slept all night (which I NEVER do), I woke up this morning and literally thought I died, because my neck and lower back were not hurting, and my tailbone doesn't feel too bad either! THANK YOU... THANK YOU ... THANK YOU!!!! You have no idea how grateful I am ... even if this is a fluke and last for a day ... I'm elated! I just wanted to share "GOOD NEWS" with y'all, instead of complaining! � Hope to see you pain free on Friday. BTW, I need to change Thursday's appointment to Friday at 10:30. Thanks again! Love y'all! Everyone at AA Healthcare is awesome! Super friendly and helpful. Got me ready for a race in just a few days. Ready to get back now that the race is over!! Today was my first time experiencing chiropractic practice. I walked in with a very painful back from years of neglect. After my first adjustment, I walked out sore but not in as much pain as I was when I walked in earlier. Great staff, great environment, and a special thank you to Megan for the referral and getting me the appointment I needed so quickly. I learned a lot and now know what not to do in my everyday life. I cannot wait for my next appointment! I have really enjoyed my first 2 appointments and I have been really impressed with all of the staff and their commitment to patient care and wellness. Well me and Hubby has been coming here for two weeks now. And we love the work that the team here does and they are very good at what they do! Omg, I love this place! My son and I came 3 days a week, and we always ahh after each visit! �! I've had a recurring lower back issue for about 4 years - sitting too long! They provided great stretches, exercises and help me work through other subluxations! All without heavy medication - thanks All American Healthcare! Words cannot express how much All American Healthcare has changed my life. The chiropractic, muscle work, and physical therapy has given me back my life, less the constant pain. The staff is highly knowledgeable and wonderful to be around. They have such a family atmosphere. My back, neck, and ankle pain has almost gone away. I love the many services that are also offered. Ideal Protein, the weight loss side, has been the ONLY weight loss program that has worked for me. I have tried many programs. I have lost almost 40 lbs. in 3 months on Ideal Protein. Thank you for helping me change my life. I recommend you to everyone I come across!!!!! Thanks to a combination of physical therapy, muscle work, chiropractic care and homeopathic injections, I am finally free of any vestiges of the "frozen shoulder" condition that plagued me for over a year. I spent a lot of time getting care from 3 different specialists, I had an epidural, and I had 6 months of physical therapy elsewhere. Nothing changed. Then I became aware of this integrated medical practice; I'm so glad I gave them a shot. I was uncharacteristically beaten down by the limitations of the condition and the persistence of symptoms despite so much work. I had modified my lifestyle and habits to adapt to my limitations: I had all of my hair cut off because I couldn't groom and my garden was unsightly because of neglect. I stopped dancing, I stopped cooking, and I rarely slept because of the severe discomfort. It's hard to believe I spent so much time in that state. I'm grateful to the entire staff for their expert care, their patient encouragement, and their effective treatment! I'm growing my hair out, I'm once again concocting culinary delights, my garden is lush and colorful, and I went out dancing last weekend until the wee hours... Thanks for the physical restoration that allows me to fully enjoy my life again! Great combination of both chiropractic treatments, muscle work and stretching therapy. Helping me heal! I went in and my back was all messed up and kind of hard to walk around and stuff. Then they start working on it for like two weeks and now I'm straight. I continue to maintain regular visit with them because they're awesome. They very nice and I'm looking forward in them getting me back to myself! This crew is very good at what they do. Very awesome place. Friendly and knowledgeable staff, especially Brittany, she's the bomb! This is the best Chiropractor I have ever gone to, they offer so much more to help you achieve your goals!! They hit it out of the park ! They specialize in a wide variety of areas that they are able to help you be the best you possible ! They are professional and have the most positive energy as soon as you walk in . I should have never waited as long as I did to put myself first and let them help me get to where I need to be ! Highly recommend them and if your worried about cost their consultation is waived because they truly care about helping you ! Don't wait any longer ! Never been to a better chiropractor office than this one! They are so thorough and cover all aspects of your body and activities of daily living. They evaluate your posture, your sleeping position, driving and sitting position. After 3 weeks of treatment I have no headaches! !� The staff is so friendly and knowledgable and the Chiropractor is great. They don't rush you and they listen to everything that your feeling and address it each time!! Best Chiropractic Team in Covington!!!!!! Very professional. People there are great to work with! I highly recommend All American Healthcare. The truly care about how you feel. The staff is very friendly and knowledgable. You get physical therapy in addition to chiropractic care. They offer many other amazing services too. Take care of yourself and check it out. What's up guys! So I just wanted to give a big thanks to these guys and the incredible work they do. I was in a car wreck not to long ago and as soon I stepped in the door I knew everything was gonna work out. Excellent staff, very welcoming and my treatment was very thorough everyday. In just a few weeks my progress was amazing and I was feeling much better. Wouldn't pick any other place to go for treatment. Thanks again everyone. Awesome people here with amazing service! All natural health care is what they are all about! Thanks guys! The staff is delightful! They deliver excellent care with a smile and a positive attitude! I was having problems with lower back pain for the last 6 months that was becoming progressively worst, but after looking for a chiropractor, I heard about All American Healthcare and decided to give them a try. All I can say is Wow!!! Great service, friendly staff, and an all around excellent experience. They're very knowledgeable, have reasonable prices, and leave you feeling better than you went in. Thanks guys! My experience at All American Healthcare has been excellent! I did not want to take pain medication for my arthritic back. Because of their excellent care, I am pain free! I would highly recommend this facility to anyone with any physical pain. I've suffered from lower back pain for years now. After x-rays, the doctor at All American discovered that I have an extra disc in my spine. After two months of therapy and adjustments, I am almost pain free. The entire staff really go out of their way to make you feel comfortable. Going to All American is one of the best decisions I've made. Today I had the best adjustment ever!!!! I have been feeling off, for a few weeks, and hesitated going to the clinic because I felt the pain, tingling, and discomfort in my neck shoulder, and lower back were just not painful enough to go, but I really should have gone in weeks ago!!! I was adjusted head to toe, & felt cracks in places I never knew I had, and the best part was the instant relief it provided me!!!! Now I know I need this weekly in my life pain or not!!! Thanks so much for the best Chrio"CRACK"tic appointment ever!!!!! The crew over here is great, the whole team works with you throughout a session, and I leave feeling awesome after every visit! Couldn't be happier with my care here! The staff is wonderful! Great people, the whole family has been treated. Love, love, love this place and everyone working hard to make sure each patient gets their personalized treatment. My back was a tight, twisted, hurting mess after 15 years of my neglecting it! Immediately I could see the improvement in my level of movement and lessoning pain. There is still work to be done but they are with me all the way. I am strong and walking upright, instead of bent over. I can sleep on my back which I haven't done in 15 years. Don't put off coming here if you need treatment! You will love it! I happened to see a seminar posted at the YMCA for the senior exercise group. It was a presentation on back pain by Dr. Johnson from All American. I am so thankful to God that I didn't decide to skip it!! !I'd like to add something to my last review: For those of you who have had orthotics recommended to you by one of the doctors, please, please take their advice! I was hesitant because of the cost but knew that the docs know what they are doing. I bought a pair of the flip-flops and a pair of insoles. What a difference they make! I can't remember when my feet, back, and hips have felt this good! But, they can't help you completely unless you communicate with them and are totally committed to the treatments they have personally tailored to your care. It is Spooktacular! Fun and fitness usually don't go together but here - they do! Superb staff! One of the best decisions I've made was beginning treatment at All American Healthcare. I've been plagued with neck and upper back pain for years, which is now gone since beginning treatment. Knowledgable and fun staff make for a great experience. Highly recommended! These people are great! I am still getting the kinks out, but they are all so very helpful, positive, and willing to go over and above good service! Fun and friendly staff. Dedicated to improving your health and well being. I would definitely recommend them to a friend. Thanks Brittany for the wonderful muscle work! You are a life saver! This place is great, fixing me up day by day! Pain in my neck was unbearable, my family told me to come here and they are absolutely right about them being able to fix my neck it's only been a week and I'm in so much better shape than before! Thanks guys! I have been to several Chiropractic facilities over my many years of back pain but have never encountered the "total body experience" that All American provides. It's a Disney Land for my back. These people truly care about me and my recovery and are intent on masking sure I have the tools to maintain my recovery when I am at home. Love these people. Don't hesitate-get over there now. Best chiropractor I've ever been to! Not just normal adjustments.. stretches and work-outs to help stretch and strengthen the problem areas! Highly recommend!My 3 month old also goes here for severe GERD. After the 1st adjustment my baby girl was able to sleep through the night with out pain and crying! They really take their time to find out ALL ur problems and how they can help correct them. Before I started going to all American health care I was almost in tears by the end of everyday bc of the pain in my traps. Thank u so much to the wonderful and friendly staff and doctors! Never been to chiropractor before. Great people and service. Great bunch of care givers. I have benefited learning new stretching and exercises. Since I started coming here my headaches are almost nonexistent! I was very leery about going to a chiro after my dealings w/a crooked one after a car accident MANY years ago, but I heard a lot of praises about these folks. My 40# puppy decided to yank hard on the leash & POP! OW!!!! The pain increased over the weekend so I called Mon AM & got an appt that day.So far. So good. I have seen significant improvement with my neck over the past few months. If you have ever been in Physical Therapy, you know these sorts of injuries take time to heal. No instant fixes...The staff is friendly and helpful. Very pleased with the service I have been getting. Best chiropractors in Covington! Hands down! Everyone at All American Healthcare truly cares about their patients and it shows! Back pain is very difficult to describe to someone who has been lucky enough to not have had this type of discomfort. The pain is truly debilitating and quality of life is quickly diminished. The team of doctors at All American Healthcare are dedicated to healing patients then teaching them how to stay healthy. They first analyze the cause of your pain then prepare a plan of treatment. The support staff is friendly, knowledgeable and helpful in every aspect of your recovery. I highly recommend All American Healthcare for anyone who is in pain or would like to live a healthier life. It's only been less than 3 months that I started receiving treatments from All American Healthcare yet I feel as if my condition has improved tremendously by 100%. For 10 yrs I've suffered from lower back pain after having my son and my girlfriend invited me to a "Dinner With Doctors" session and that's when the magic and sign up started. Not only has my back pain disappeared but my sinus migraine headaches have subsided as well. While being treated for my back, I strained my forearm at home and the All American Healthcare Team was able to treat my new injury into my sessions. For the first time, I can honestly say that I enjoy going to the doctors and that's because of the friendly, professional, and welcoming team at All American Healthcare. Everyone from Dr. Curtis, Dr. Shelly, Dr. Bourg, Dr. Johnson, Ray Marie, Tim, Britany, Robyn, Scott, and Jacie have made my sessions and chiropractic experience exceptionally great! It's a great feeling to know that I'm being treated by a team that truly cares for my well being and that I'm not just another patient. My law firm's personal injury clients rave about the quality healthcare they receive at All American. The doctors and staff do a great job helping people with neck pain, back pain, and other injuries. A place where you can not only get out of pain, but be treated like a member of the family!